So you know you love diving. Are you ready to make it a lifestyle and “Live the Dream”? We can help! 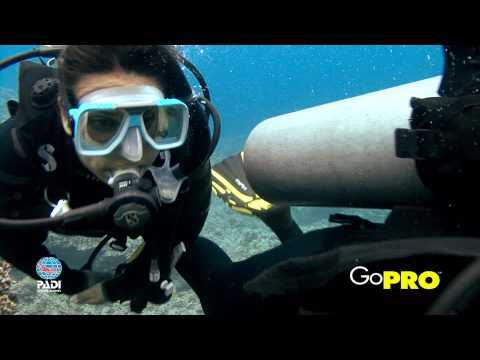 The first level of professional training is the PADI Divemaster course. Working closely with a PADI Instructor, you’ll fine-tune your dive skills, and refine your rescue skills so you anticipate and easily solve common problems. You’ll gain dive knowledge, management, and supervision abilities so you become a role model to divers everywhere. Once you’re a Divemaster, you can take the next step toward learning how to teach diving with the PADI Assistant Instructor (AI) course. Teaching scuba diving allows you to share your love of the aquatic world with others while doing what you enjoy – being in, around and under water. To become a fully-qualified PADI Instructor, you must then complete the Open Water Scuba Instructor (OWSI) program and pass the Instructor Examination (IE).